Netflix’s dark comic superhero returning for more. 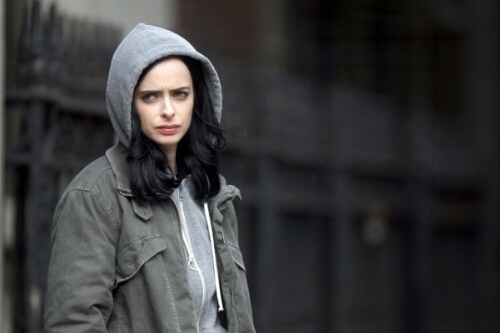 Netflix has confirmed, Marvel’s Jessica Jones will be returning for a second series. Krysten Ritter will once again star in thirteen new episodes as Marvel comics private investigator / reluctant superhero Jessica Jones, it was announced at the Television Critics Association press tour. However David Tennant will not be returning as Kilgrave in the second series (fans who’ve have seen season 1 will know why!). As well as Jessica Jones and Daredevil, Netflix is also developing more Marvel dramas including, Luke Cage (starring Mike Colter who also appears in Jessica Jones Season 1), Iron Fist and The Defenders – which will feature characters from each of the aforementioned dramas. Daredevil Season 2’s The Punisher and Elektra, are also said to be getting spin-off series’. 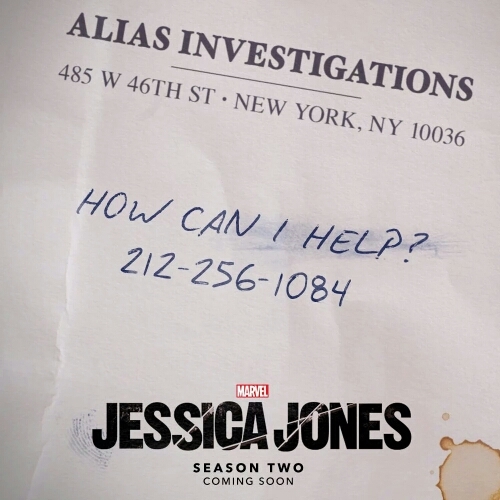 Jessica Jones Season 1 premiered in November to positive reviews and is currently streaming on Netflix.